Conveniently located just a few minutes walk from Farringdon station in London’s Clerkenwell design district (St John’s Square, EC1V 4JL). Our London studio is just one stop from King’s Cross and St Pancras. 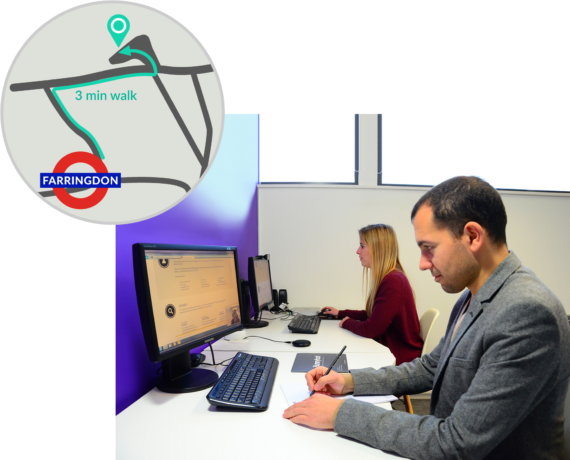 In our central London studio, we have 3 state-of-the-art UX labs and 3 observation rooms, kitted out to make your experience productive and comfortable. During lunch, you can check out the panoramic views of London from our roof terrace (it’s a bit of a sun-trap in summer!). 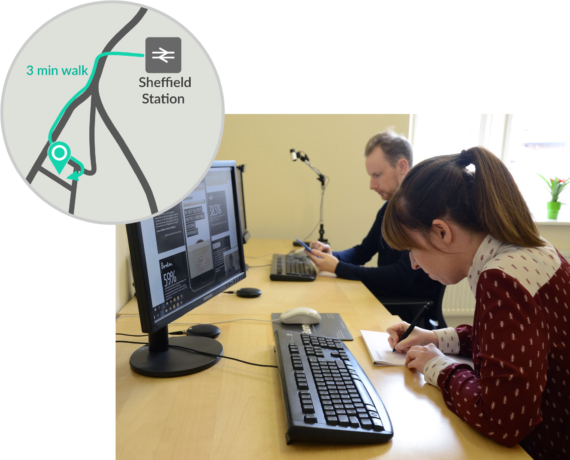 You can find our Sheffield labs in a converted chapel, just 5 minutes’ walk from Sheffield train station. On offer are 2 cutting-edge usability labs and viewing rooms plus a large focus group/workshop room.  The benefits of hiring our Sheffield labs include cheaper day rates and access to non-London-centric customers for testing. Located in the Oxfordshire countryside, in Harwell Innovation Centre, our labs are a short taxi ride from Didcot Parkway station and easily accessible from the M40 and M4. 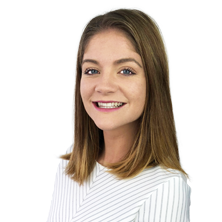 The benefits of testing in our Oxford labs include a cheaper day rate and easy access to participants from rural locations and towns – helping you to avoid London-centric testing.